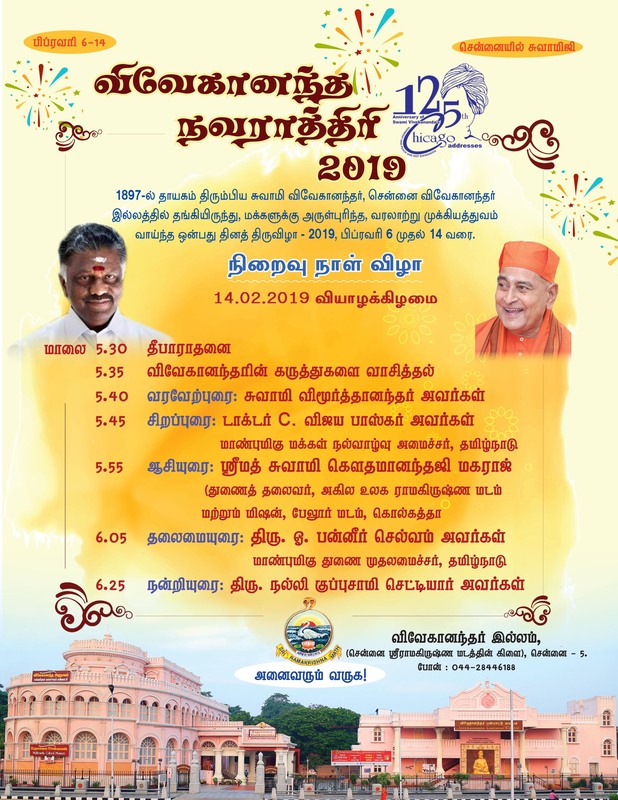 Swami Vivekananda, after returning from the West, sanctified the present Vivekananda House by his stay from 6th to 14th February 1897. 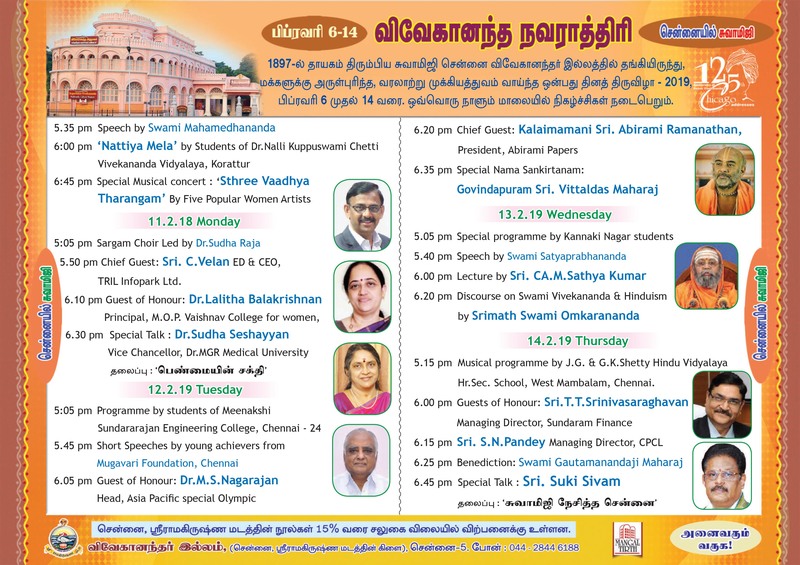 Those 9 days are now celebrated as “Vivekananda Navaratri”. 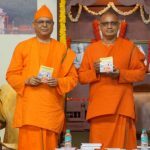 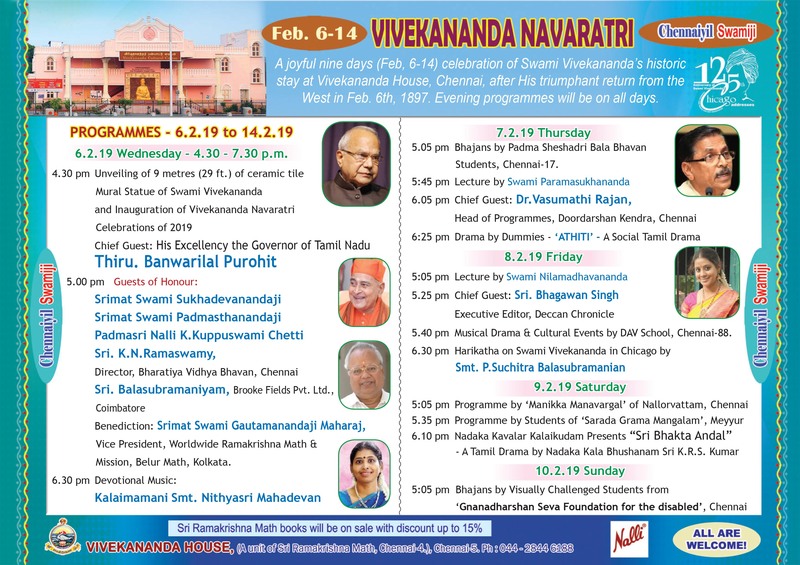 To commemorate those holy days of Swamiji’s stay, several programs are arranged in the evening from Wednesday, 6th Feb. to Thursday, 14th Feb. 2019, at Vivekananda House.